The Supreme Court, on Friday, directed the Centre to constitute within two months a Committee of Experts in order to look into the functioning of the Multi-national Accounting Firms (MAFs) in India. This Committee would have to submit a report on the issues highlighted by the Court within three months thereafter. "Whether the MAFs are operating in India in violation of law in force in a clandestine manner, and no effective steps are being taken to enforce the said law. If so, what orders are required to be passed to enforce the said law." The Appellant had alleged that MAFs were illegally operating in India, in violation of Section 224 of the Companies Act, 1956, Sections 25 and 29 of the CA Act, and the Code of Conduct laid down by the ICAI. The PIL, argued by Advocate Prashant Bhushan, had alleged malpractices by leading MNC auditor PricewaterhouseCoopers (PwC). The Petition had alleged that PwC and its network audit firms operating in India had indulged in infusing foreign money in violation of the FDI norms, engaging in illegal accounting insurance policies and acquiring another auditing firm irregularly. It was, therefore, accused of violating various provisions of the Foreign Direct Investment (FDI) policy, Reserve Bank of India (RBI) Act and the /Foreign Exchange Management Act (FEMA). The Petition had then demanded that falsification of accounts be made a non-bailable offence to ensure effective governance and to avoid potential loss of revenue to the public exchequer. It had further demanded that an independent regulator be appointed for auditors and that allegations against PwC be investigated into. The Court referred to the report submitted by the High Powered Committee Expert Group on Operation of MAFs in India, which was constituted by the ICAI in wake of the Satyam Scam. This Committee had made various recommendations, including action to be taken against firms which share revenue with multi-national entities and those which receive financial grant from multinational entities in spite of this being prohibited. It had further recommended that it should be made compulsory for all firms which enter into any kind of arrangement with a foreign entity to disclose such arrangement every year to ICAI. Furthermore, it had suggested that no MAF should be allowed to directly or indirectly operate in India without specific approval of the ICAI's Council. It had also emphasized on the need for a 'No Objection' from the ICAI and the RBI for MAFs to engage in audit and assurance services in India. The Court considered various statutory provisions and inter alia noted that while Code of Conduct for CAs prohibits fee sharing and advertisements, MAFs violate this Code by "using international brands and mixing other services with the services to be provided as part of practice of chartered accountancy." It then observed that it prima facie appeared that statutory provisions and policy frameworks were being violated by the MAFs. It explained that the MAFs seemed to be complying with these only "in form and not in substance", by registering partnership firms with Indian partners, even though the foreign companies remained the real beneficiaries of the business of chartered accountancy. Such partnership firms, it said, were "merely a face to defy the law". Another aspect highlighted by the Court was that of investment in CA firms, in violation of prohibition of FDI policy, by using a circuitous route of interest free loans to partners. Therefore, highlighting the need for a revisit of the existing framework, it stated, "Indian firms using similar brand names are registered with the ICAI but the real entities being MAFs, ICAI is unable to take requisite action for violation of Code of Ethics by the MAFs. Thus, revisit of existing legal framework may become necessary so as to have an oversight mechanism to regulate MAFs on the touchstone of Code of Ethics." The Court then suggested that the law be amended to separate regulatory regime for auditing services on the lines of the Sarbanse Oxley Act enacted in the US. It further clarified that remittances from outside India should be considered investment even when they are claimed to be interest fee loans to partners. Having examined submissions of the parties as well as various authorities, the Court held that a "a case is made out for examination" by the Enforcement Directorate, the ICAI as well as the Central Government, with regard to issues of violation of RBI/ FDI policies and the CA Act by "secret arrangements". 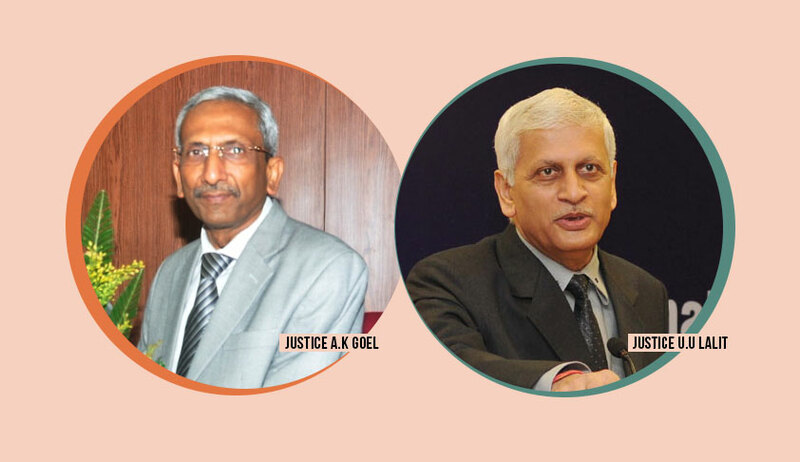 It then opined that the ICAI ought to constitute an expert panel to update its enquiry, observing, "Being an expert body, it should examine the matter further to uphold the law and give a report to concerned authorities for appropriate action. Though the Committee analyzed available facts and found that MAFs were involved in violating ethics and law, it took hyper technical view that non availability of complete information and the groups as such were not amenable to its disciplinary jurisdiction in absence of registration. A premier professionals body cannot limit its oversight functions on technicalities and is expected to play proactive role for upholding ethics and values of the profession by going into all connected and incidental issues." "Absence of revisiting and restructuring oversight mechanism as discussed above may have adverse effect on the existing chartered accountancy profession as a whole on the one hand and unchecked auditing bodies can adversely affect the economy of the country on the other. Moreover, companies doing chartered accountancy business will not have personal or individual accountability which is required. Persons who are the face may be insignificant and real owners or beneficiary of prohibited activity may go scot free. As already noted, the Reports of the Study Group and Expert Group show that enforcement mechanism is not adequate and effective. This aspect needs to be looked into by experts in the Government." "(i) The Union of India may constitute a three member Committee of experts to look into the question whether and to what extent the statutory framework to enforce the letter and spirit of Sections 25 and 29 of the CA Act and the statutory Code of Conduct for the CAs requires revisit so as to appropriately discipline and regulate MAFs. The Committee may also consider the need for an appropriate legislation on the pattern of Sarbanes Oxley Act, 2002 and Dodd Frank Wall Street Reform and Consumer Protection Act, 2010 in US or any other appropriate mechanism for oversight of profession of the auditors. Question whether on account of conflict of interest of auditors with consultants, the auditors’ profession may need an exclusive oversight body may be examined. The Committee may examine the Study Group and the Expert Group Reports referred to above, apart from any other material. It may also consider steps for effective enforcement of the provisions of the FDI policy and the FEMA Regulations referred to above. It may identify the remedial measures which may then be considered by appropriate authorities. The Committee may call for suggestions from all concerned. Such Committee may be constituted within two months. Report of the Committee may be submitted within three months thereafter. The UOI may take further action after due consideration of such report. (iii) ICAI may further examine all the related issues at appropriate level as far as possible within three months and take such further steps as may be considered necessary. "